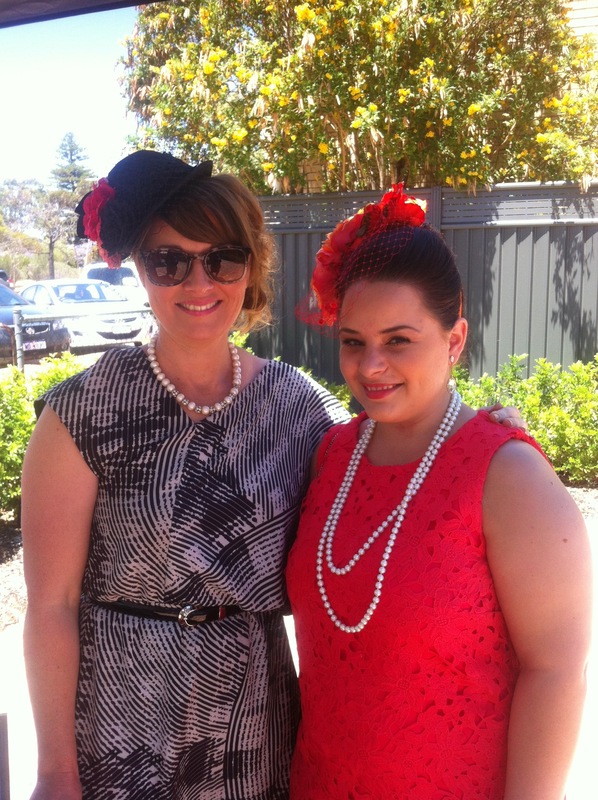 Getting organised for the Melbourne Cup Luncheon in Merredin has been quite cinch! In Perth, about three weeks ago I bought a couple of Forever New dresses and some from the Target Collection, so that I have a few to choose from for when I go out. I am not normally a Target shopper, but there was quite a few beautiful summer/spring numbers!! And Target is one of the main retail stores in the street of Merredin. Check out the Target Collection on line for some nice Spring Racing Dresses. My choice of dress for the occasion was a Target Lace Shift Dress in Paradise Pink, which I paired with some Novo Designer Light Brown Heels. A picture of the shoes is also on my Instagram page that I wore to the Woolshed Hotel in Nungarin for a birthday. The ear-rings that I am wearing are Swarovski. 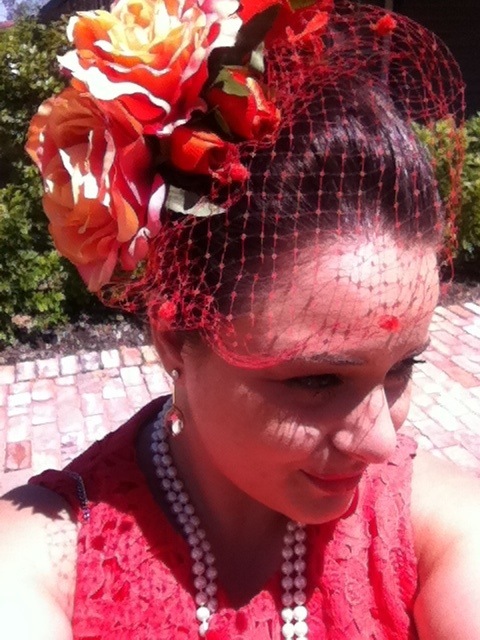 My very talented friend, Kirsty Mackenzie put together the dazzling fascinator in just half an hour!! I was going to wear a pink fascinator that I wore to Melbourne Cup two years ago, but thought it may not match the dress properly. Thank God for Kirsty!! She is so wonderful at making things look pretty and most of all I love her Skincare Range that she makes herself! 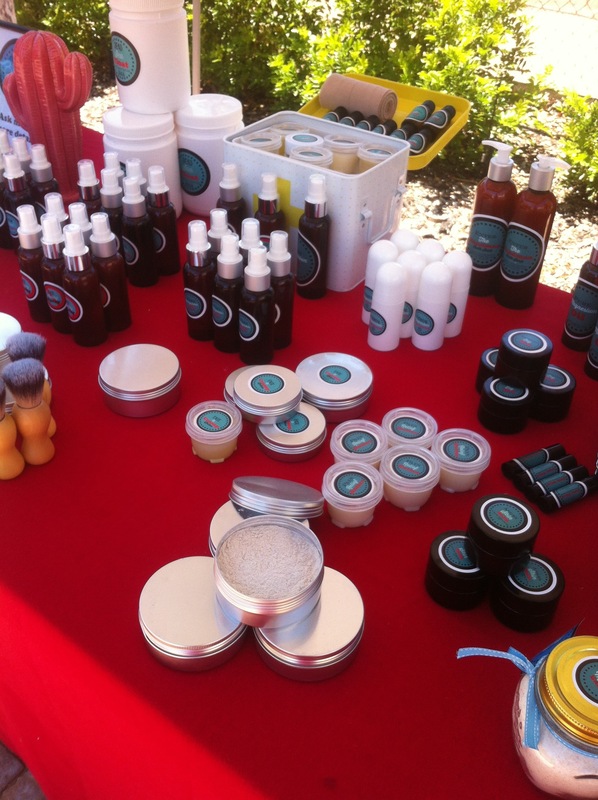 She set up her products as a stall at the luncheon and is known as The Beauty Bus. Follow her on Instagram, and get updated on her products and see what she does with them! 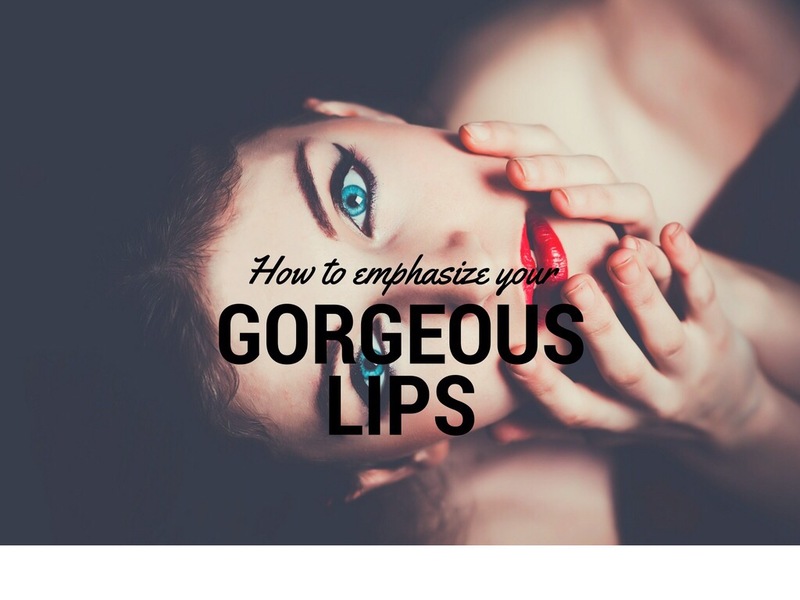 She also does an amazing blog…. Follow Kirsty here. My beautiful mum also did my hair!! As I arrived, we were greeted with a glass of bubbly’s, finger food and there was a lucky door prize we could enter, and prizes for the best dressed and best fascinator. The Sophisticats Walking Team hosted it, and all money raised for this wonderful event is donated to the Perth Weekend to End Women’s Cancer. So the money went towards a good cause. I can gladly say I WON Best Fascinator towards the end of the day!!! Best dressed went to a lady, Nola and Best Shoes went to Asha Carr. 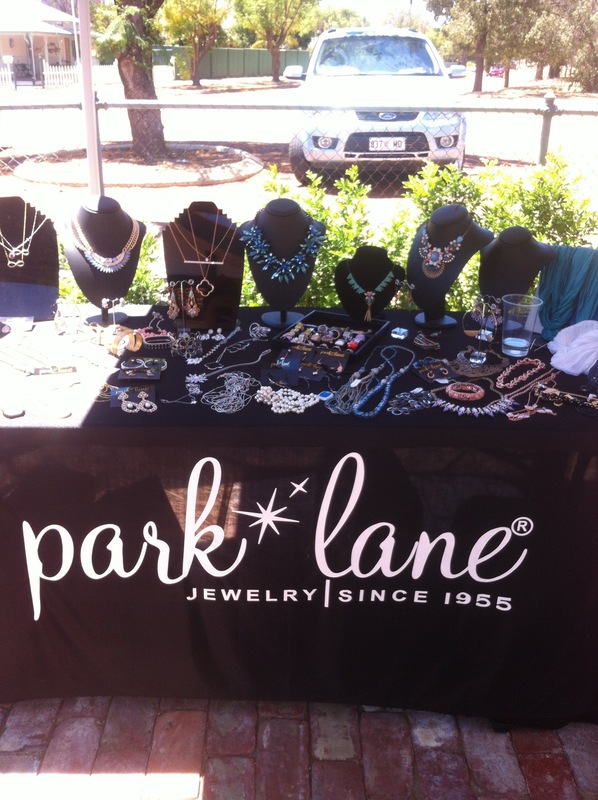 What I also loved was that there were stalls set up for bags, Park Lane jewellery, and Arbonne skincare and makeup. I tried a sample of FC5 Conditioning Body Moisture and it felt silky smooth and would be nice to put on for when you go out into the sun!! I think this product is a GREAT beach buy!! 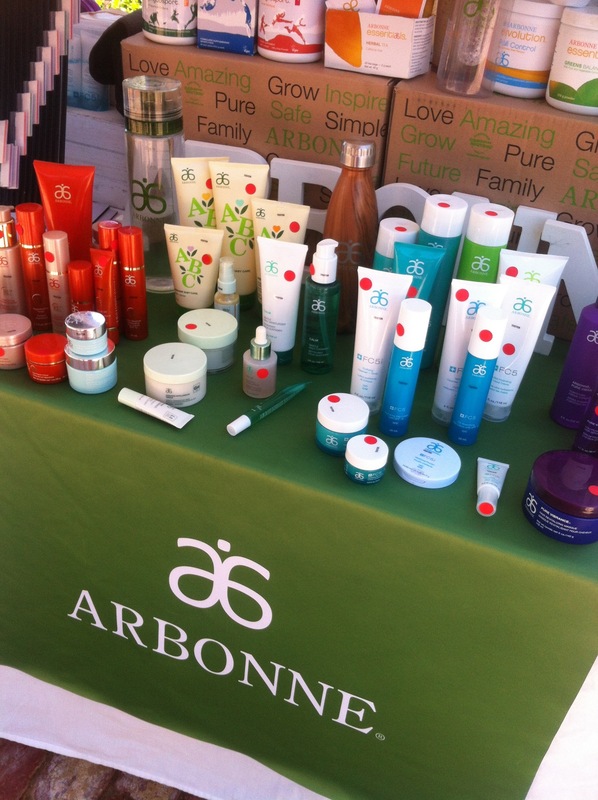 Zane Walker is an Independent Consultant and sells the Arbonne products! There is sooo much to try!! The products with a red dot were ones that had samples. Zane has been so kind and has given me quite a few samples to try, such as the FC5 Ultra Hydrating Hand Creme. This is a MUST try!! So all in all, it was a fabulous day and eventful!! 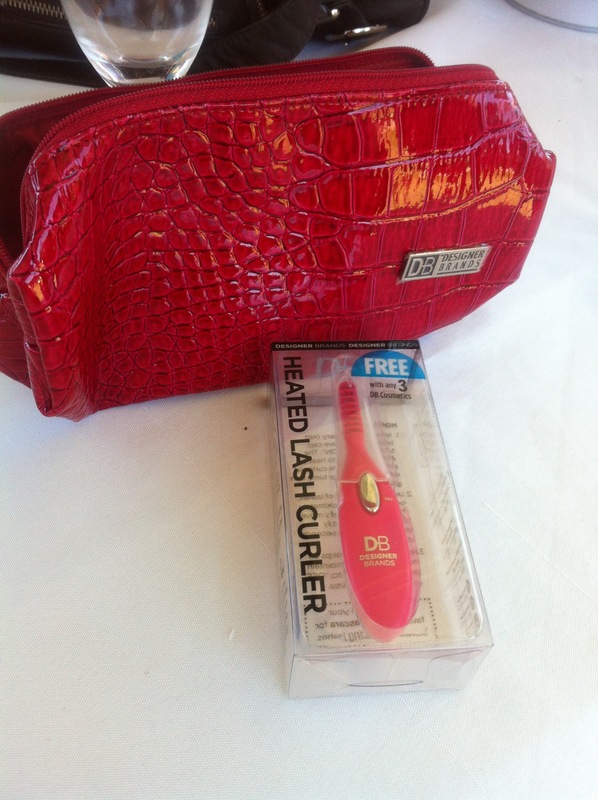 I won another prize, a Designer Brands makeup bag and a Heated Lash Curler, so I left with some goodies….!! And felt happy at the end of the day!! What did you do for Melbourne Cup today?